We visited Wayanad recently and one of the places we visited during our trip is Uravu. 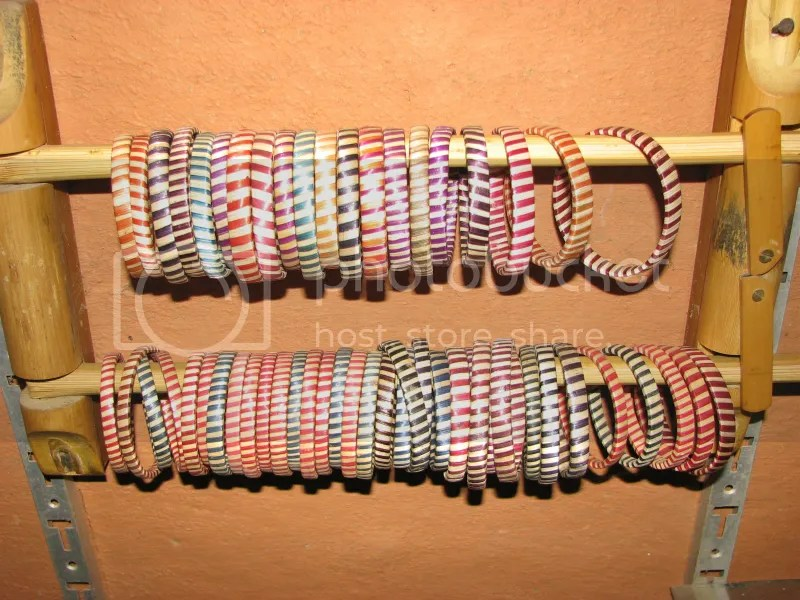 It is a non-governmental, non-profit organization which strives to provide employment to the underprivileged people by making handicrafts from bamboo. It is tucked away in a small town Thrikkaipetta in Wayanad District. I had read about this on someone else’s blog and had it on my must-see list when I visited Wayanad last week. Uravu is around half an hour drive away from Enteveedu, the home-stay where we stayed. We reached this place at around 9 and we could see people already busy working. We first visited the stores where they sell handicraft items. The store was a sight to see. Bamboo everywhere, in all possible colors and variety and shapes. I was mesmerized with the amount of innovation and creativity around me. 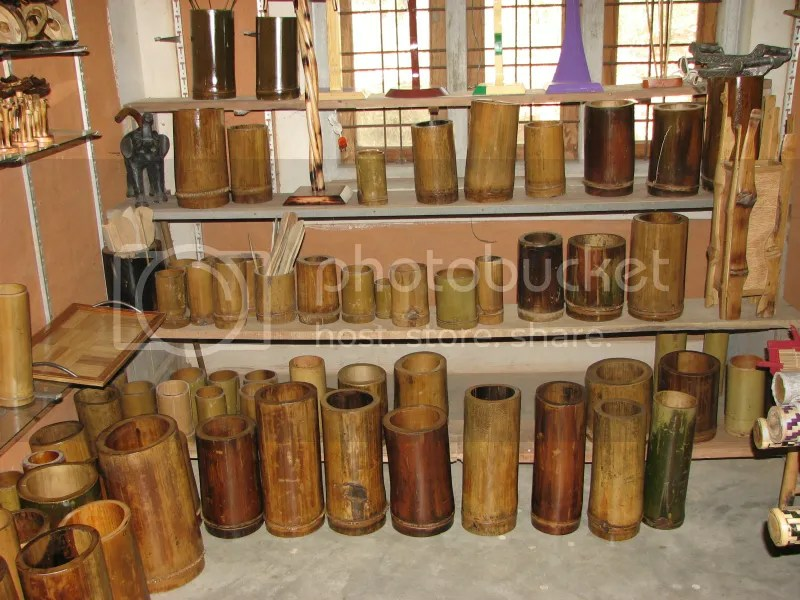 The first sight I caught was this corner where bamboo vases in all possible sizes were neatly arranged. There were many more stocked away, which I couldn’t see. 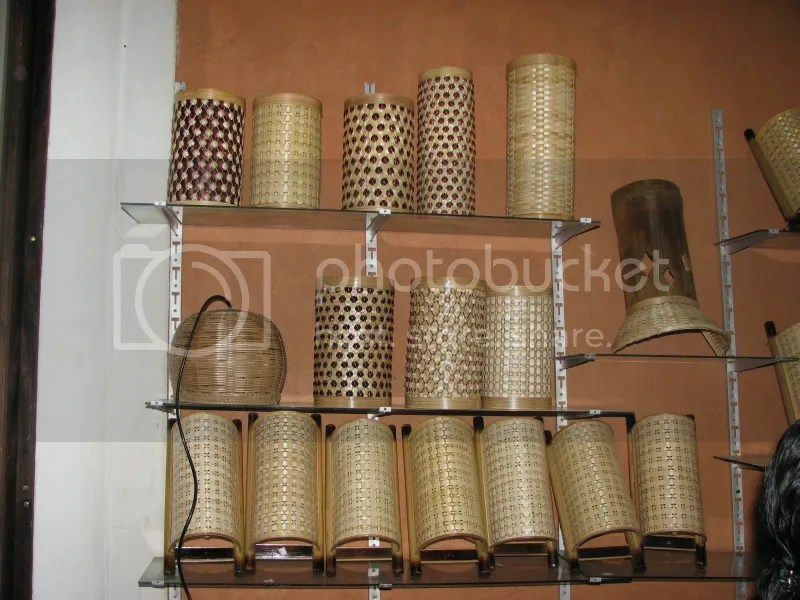 Apparently, bamboo vases sell like hot cake. Then there is this corner which had beautiful lamp shades. 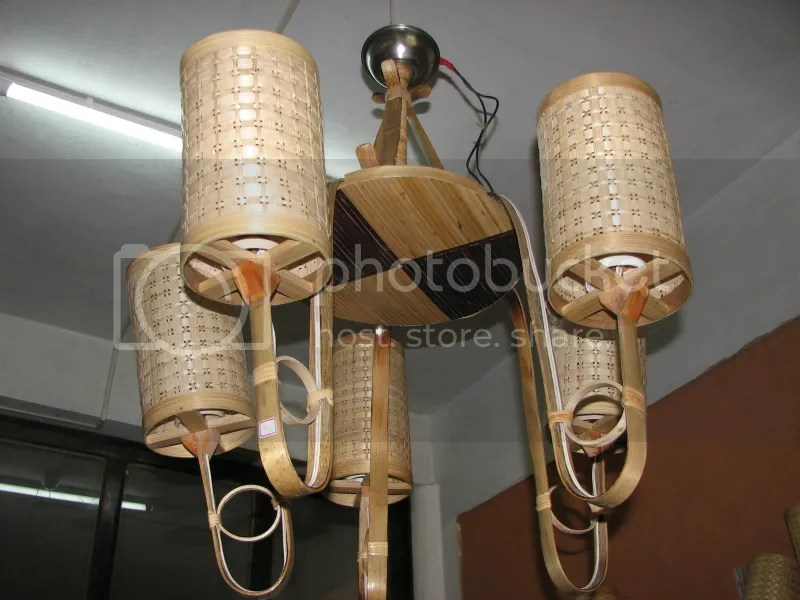 I am not sure how much heat bamboo can withstand, but lamp shades look so pretty. Don’t you agree? Look at the far right one. The design is so intricate! Makes me want to buy all those. Why stop at lamp shades? Look at this hanging piece which looks so elegant. Candle stands, pen stands, files, pens – lots of useful and beautiful things. How about some jewelery? 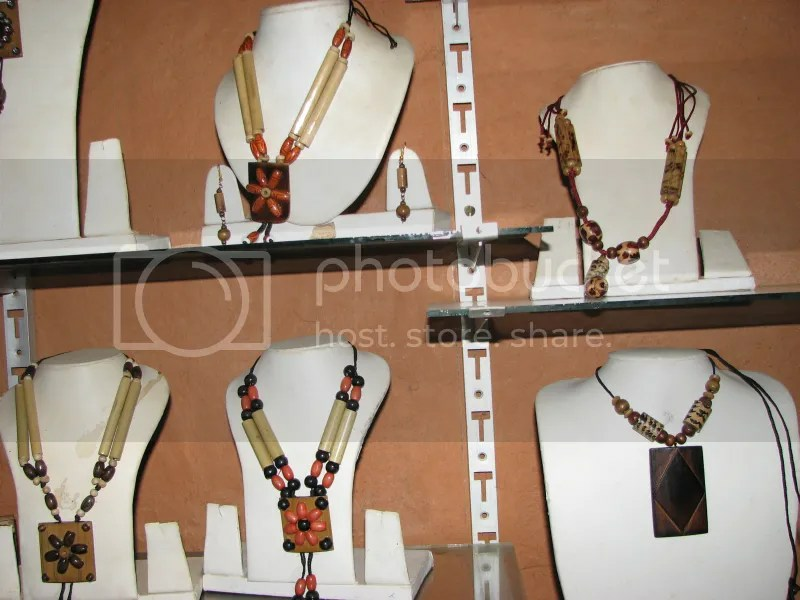 Who would have thought bamboo can be worn around your neck? And such pretty necklaces too! 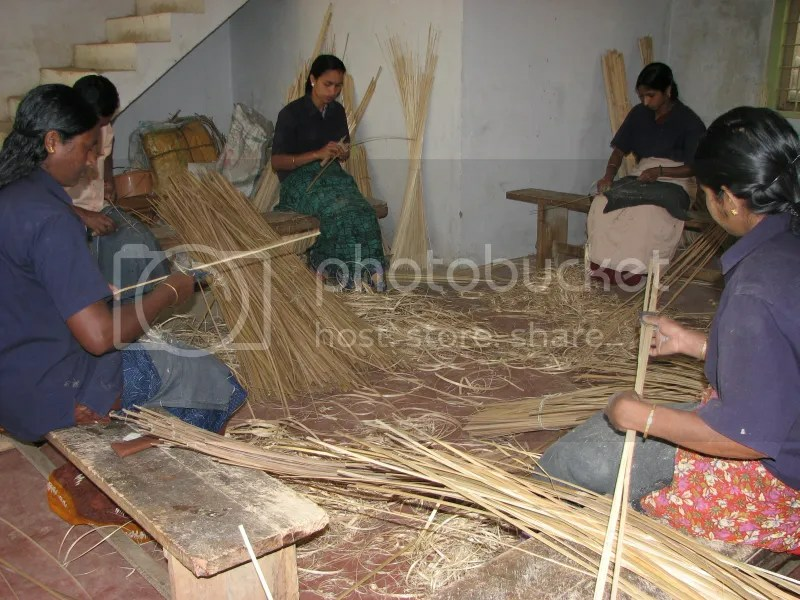 These women are making thin strips of bamboo which will be used to make curtains and mats. 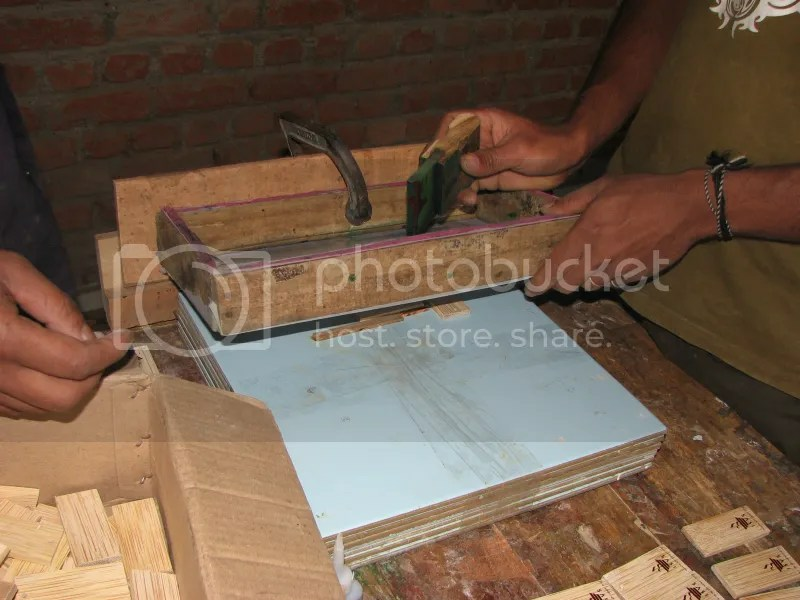 They cut strips first and then file them to get a smooth finish. 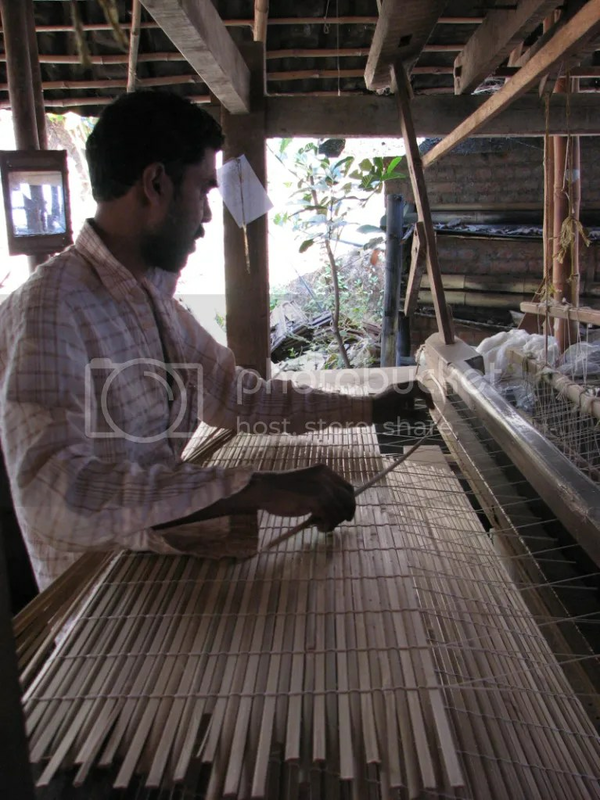 A worker making door curtains and floor mats using the loom. He was working on it methodically – there was a rhythm to his work which was so mesmerizing to watch. 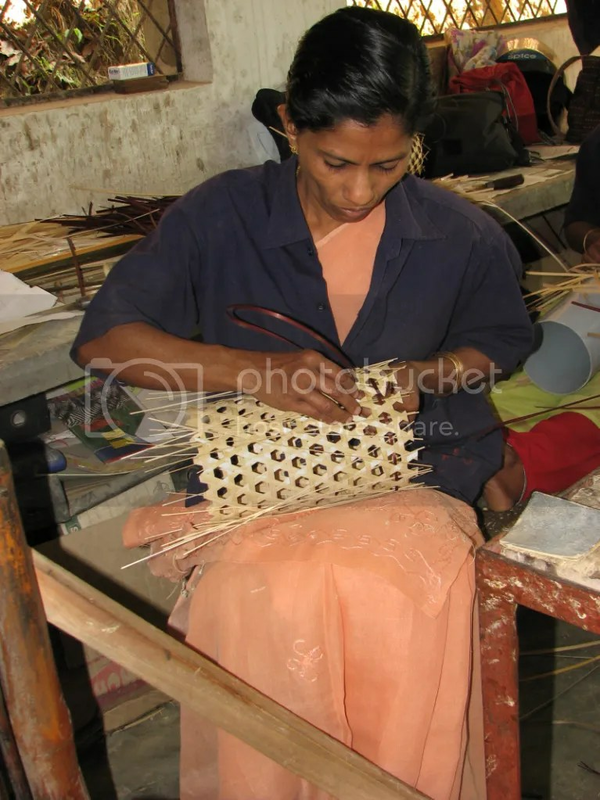 Another worker making a lamp shade. 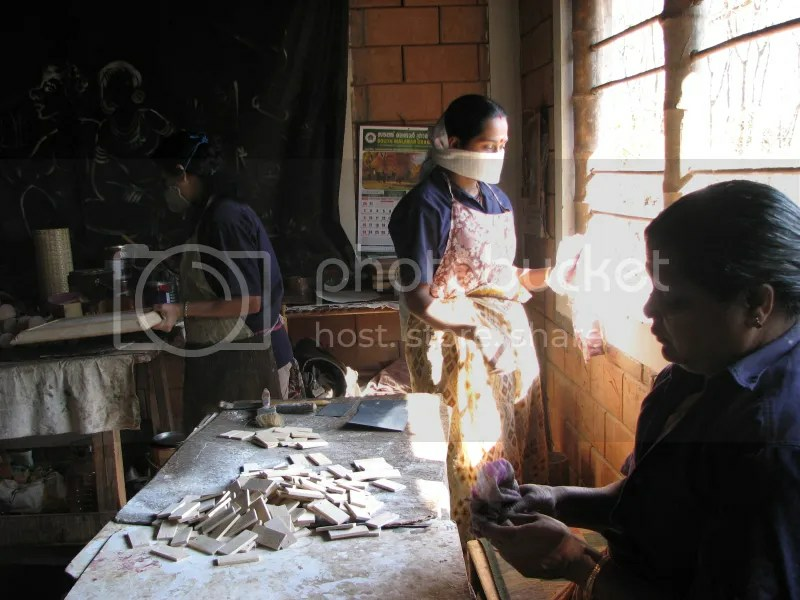 A few women polishing (applying varnish) to finished items. 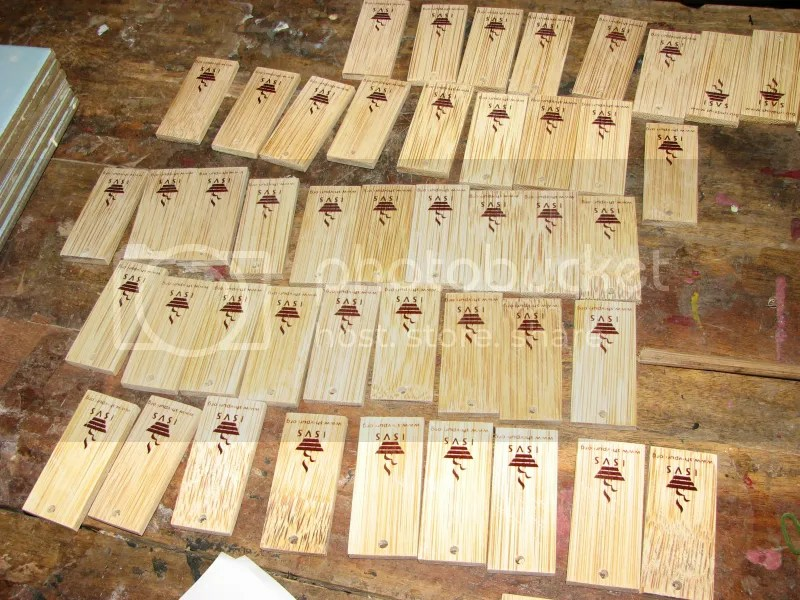 They do screen printing on order. You select the design and they make any item you want. Look at these freshly printed key chains. I was so impressed with this little factory that I had half the mind to buy all the items there. I controlled my urge and picked a few things – a serving tray, a few pens, a fruit basket and a very interesting musical instrument which makes the sound of raindrops. You have to hear it to believe it. Some may label these items as expensive, but as someone who hand knits sweaters, I know how much time and effort goes into making something hand-made. A machine knit sweater will always cost less than a hand-knit one, but where is the love and the human touch in it, I say? 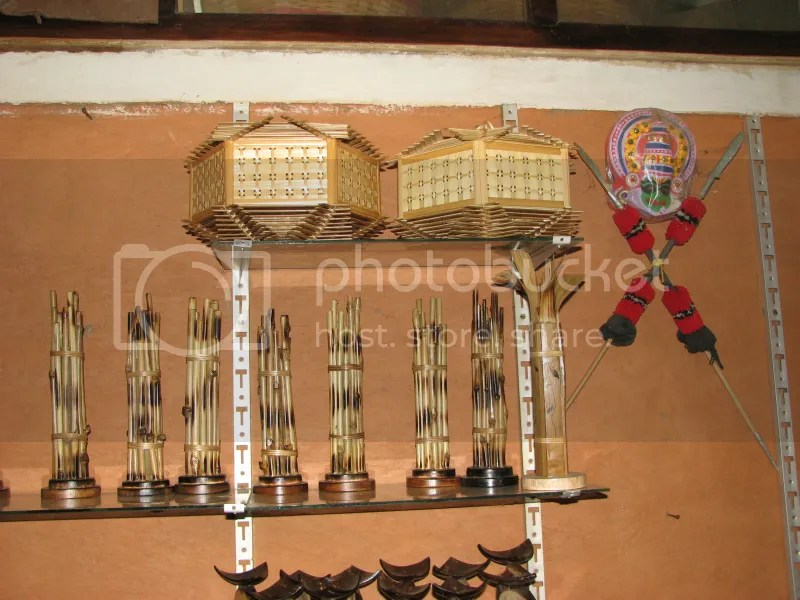 I did spend a big amount on buying these bamboo items which I might probably get for cheaper here in Bangalore, but this is my way of supporting this local seller. beautiful stuff! especially the jewellery is so nice! Thanks for sharing all the great photos. What an great place.